Tadashi Sato (American, 1923‒2005). 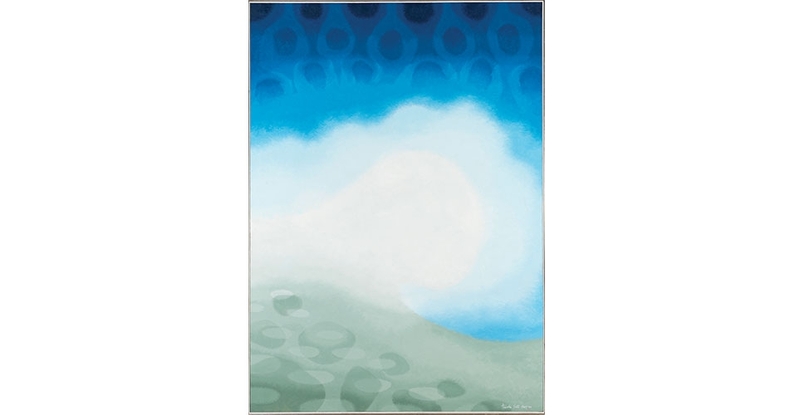 'Surf and Water Reflections,' 1969‒70. Oil on canvas. Honolulu Museum of Art, Gift of The Contemporary Museum, Honolulu, 2011, and gift of the Honolulu Advertiser Collection at Persis Corporation, 1974 (TCM.1974.1.239). Saburo Hasegawa (Japanese, 1906‒1957). 'Abstract Calligraphy,' c. 1955–57. Ink on paper. San Francisco Museum of Modern Art. Gift of Joseph Brotherton. © Estate of Saburo Hasegawa. Note: An additional entrance fee of $10 applies to this special exhibition. Photography is not permitted in the gallery. 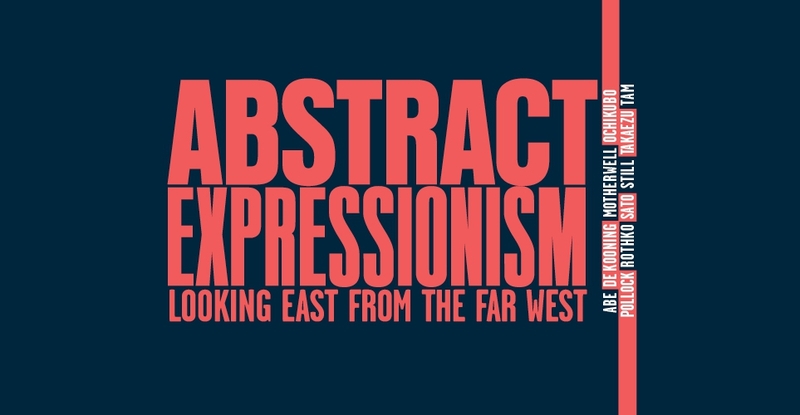 Abstract Expressionism: Looking East from the Far West considers mid-20th-century abstraction through its Asian-American practitioners, with a special focus on Hawai‘i artists. It is the first museum exhibition to bring artists of the New York School together with Asian-American artists who studied and worked in New York in the 1940s and 1950s, examining the influence of Asian intellectual and artistic traditions on artists long revered as uniquely American. The exhibition presents major works by American masters such as Philip Guston, Willem de Kooning, Robert Motherwell, Barnett Newman, Jackson Pollock, and Mark Rothko, alongside those by Asian-American artists such as Ruth Asawa, Saburo Hasegawa, Isamu Noguchi, and Hawai‘i art icons like Satoru Abe, Isami Doi, Tadashi Sato, and Tetsuo Ochikubo, among others. 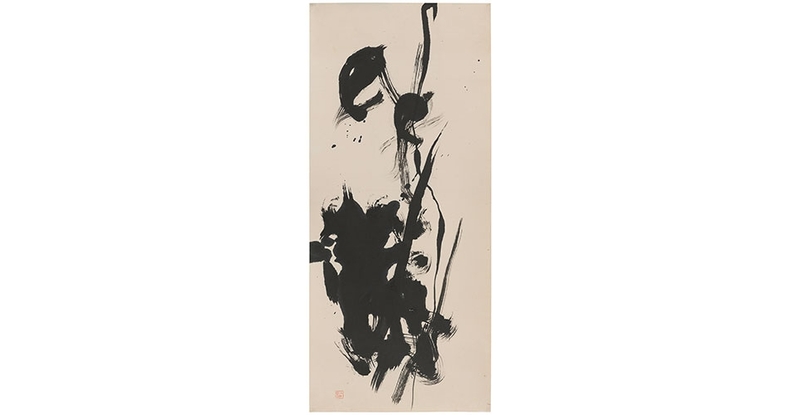 With more than 45 paintings, drawings, and sculptures, the exhibition examines the ways in which Eastern traditions from Chinese and Japanese calligraphy to Zen Buddhism helped advance Abstract Expressionism’s aesthetic agenda—its understated lyricism, its compositional balance, its subtle awareness of place—regardless of the artist. Additional support provided by Nancy & Herb Conley; Priscilla & James Growney; Violet Loo; Judy Pyle & Wayne Pitluck; and Frances & Robert R. Bean. 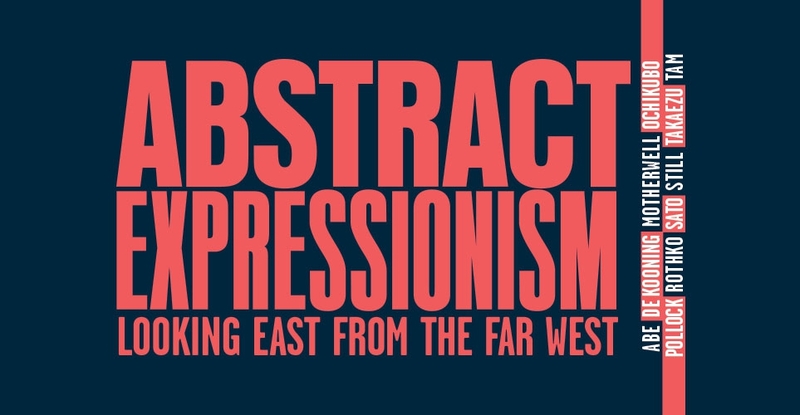 PUBLIC PROGRAMS: Enhance your experience of Abstract Expressionism: Looking East from the Far West with lectures, films, performances, and discussions held throughout the duration of the exhibition. See the full schedule.